By Niamh Foran | March 4, 2013. The changes have been rolling in for the Dublin footballers in 2013 and they just keep coming. Following the resignation of All-Ireland winning manager Pat Gilroy in September last year, it was obvious changes were coming to the 2011 Champions. Jim Gavin was appointed as the new manager in October 2012. The announcement brought with it talk of a whole new shape to the Dublin set-up. The Round-Towers club man has since brought in a string of new young players such as Eric Lowndes, Jack McCaffrey and Emmett O Conghaile. More recently, the news broke that the Dubs would have a new captain as well as a new manager in the New Year, none other than media shy goalkeeper Stephen Cluxton. This comes as a surprise to many as Cluxton, the hero of the All-Ireland final in 2011, has made no secret of his reluctance to speak to the media. This is an important role that comes along with being captain of the most high profile GAA team in the country. Cluxton takes the coveted spot from Bryan Cullen, who led the team to victory in the 2011 All-Ireland final. That game saw Cluxton score the winning point in the final minute and then proceed to the dressing room without waiting to see the presentation. However, Cluxton has met the media following Dublin’s impressive opening two games in the Allianz National Football League, in which they have beaten current champions Cork 1-18 to 2-09 and Kerry on a score line of 1-11 to 0-4. The capital’s hurlers are also adjusting to changes this year as they begin their National Hurling League campaign in Division 1B. This follows their fall from grace in last year’s league, having been Division 1A champions in 2011. The loss of powerful full-back Tomas Brady, who left to pursue his inter-county football career, may have a lasting effect. 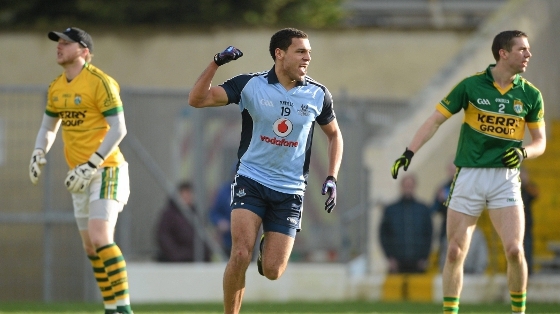 However, the return to fitness of the evergreen Conal Keaney will surely be a plus.